Ammar is a responsible and capable real state agent who provided me with exceptional guidance in making this important decision. He is a professional and experienced agent who always gave me his honest opinion and cared for my wishes and values. More importantly, he gave me all the information and detail required to weight out my options. I have recommended him to all of my friends and I am confident he will help them make the best decision just as he did in my case. It was a great fortunate and excellent experience for us, knowing him and working with Ammar. He try to reduce our stress in every stage with his professional advises and friendly behavior. My knowledge in real estate before working with Ammar and right now after dealing with him are not comparable. He alwase respected to our ideas and lead them to the right way to make the best decision. In this crazy market plus with our very special and hard situation as a new immigrant we finally finished this stage in a best way and we feel a succeed relief and we are so happy with our purchase, price, services and everything else. I strongly recommend this great man to anyone who wants and needs to trust for buying or selling property because during these hard days he always gave us the feeling like a supportive friend And never act as a person how is thinking to his benefit and just finishing the deal! He always looked to our priorities even when we forgot them. He was in touch and just beside us every time like a family member even after standard working hours till very late at nights. Although I've known some other realtors and we have been referred another famous and successful guys, but honestly choosing he as our agent was the most important and effective part of our purchase. Ammar Sedqui came as a blessing to me and my family. After years of feeling fearful about making realestate decisions and having a hard time filtering out the truths and gimmicks, we found a true advocate for safe and informed decision making around realestate investment. We found a professional who is a gifted negotiator, sharp strategist and moreover, knows how to come to educated decisions about what properties are that great deal we all hope to come across. He brought us into market analysis providing factual information through doing extremely thorough processes of analysing each property we were interested in buying. This provided solid knowledge that helped us feel positive, clear and confident to make informed decisions. Ammar's expertise, not only in his work ethic, went above and beyond but also his sincere desire to give us 100% commitment to doing his best and working for OUR best interest, not his. 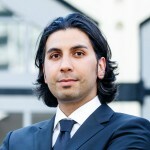 Without a doubt, I recommend Ammar's realestate services for anyone seeking professional realestate services. He has helped us on numerous purchases to seal very lucky deals. Thankyou Ammar for everything.You have nurtured our own trust in professionalism. You are the best. Ammar Sedqui was absolutely fantastic in helping us find our first home! He was diligent, professional, savvy, friendly, and reliable. He was able to negotiate a contract for a home we didn't think we'd have a chance of getting, and we couldn't be more delighted with his service. If I were to rate him out of 10, he'd be an 11! Ammar was very accommodating and efficient to work with. He's knowledgable of the Vancouver real estate and rental markets.